Welcome to the Academy of Managed Care Pharmacy Awards Program. Please enter your email address and password to log in. If you are a new user, please register. Subscribe to the AMCP Foundation mailing list in order to receive our quarterly newsletter and other important announcements. The AMCP Foundation offers variety of awards and immersive learning opportunities. Here, you can submit an application, nomination, supporting letters and other materials for the Steven G. Avey Award and our unique managed care and non-profit / management summer internships. AMCP Foundation Internships (Now accepting applications): Nearly 200 student pharmacists have completed these summer programs since 1993. Student pharmacists will gain knowledge of the pharmaceutical industry, health plans, pharmacy benefit management companies, employer sites, non-profit organizations and other groups. 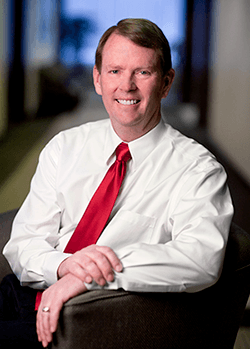 Steven G. Avey Award (The 2020 Award Cycle will open in June 2019): The Steven G. Avey Award was established in 2001 to recognize a healthcare professional for sustained, exemplary and distinguished service to the practice of managed care pharmacy. Recognizing trailblazers is true to the Foundation's mission of expanding the collective understanding about the dynamics of patient care. In 2005, the AMCP Foundation honored Steven G. Avey by naming the prestigious Foundation Award for Achievement in his honor. To inspire future accomplishments in the field, the Avey Award is presented annually to an individual who embodies the ideals of Steven G. Avey. The AMCP Foundation seeks partners to support a permanently designated endowment to ongoing operations of the Steven G. Avey Award. The goal of this internship program is to stimulate student pharmacists' interest in career options in health outcomes and pharmacoeconomics through exposure to research, measurement and applications to evidence-based decision-making. In addition, the interns will gain knowledge of the pharmaceutical industry, managed health care systems, a public charity and a professional membership society. AMCP Format-based product dossier development and its use in the formulary decision-making process. Interns will complete a research project under the supervision of an on-site preceptor from the Allergan Global HEOR Department. Recent internship projects have included “Health-Related Quality of Life Impact of Symptomatic Uterine Fibroids: A Systematic Literature Review” and “Patient-Reported Outcomes in Diagnosed Chronic Migraine, Potentially Undiagnosed Chronic Migraine, and Episodic Migraine Patients.” Interns will present their findings in poster presentations at AMCP Nexus 2018. Interns are also matched with virtual preceptors for additional mentoring. 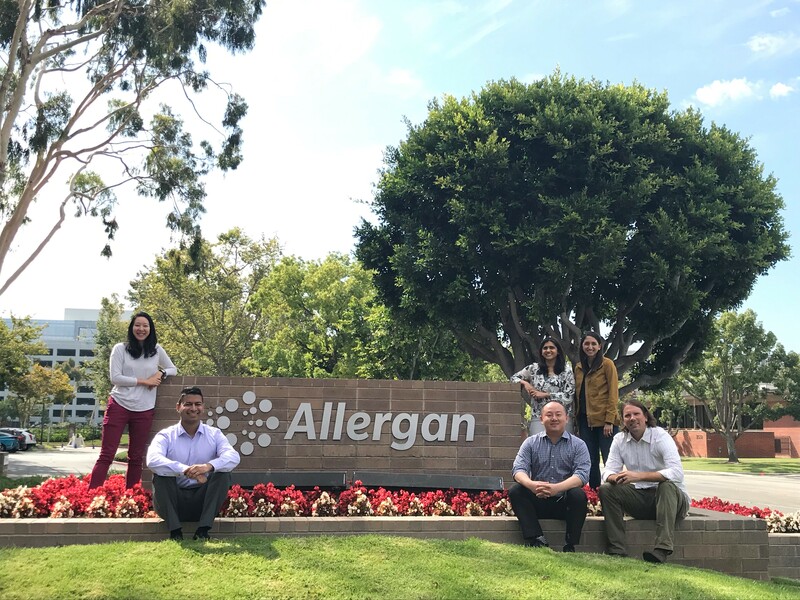 In the initial phase, a Selection Committee comprised of AMCP members review applications, with the final selection of the two interns made by the preceptors at Allergan Plc. Applying selection criteria developed by the AMCP Foundation, AMCP members and Allergan Plc, the Selection Committee strives to recommend student pharmacists who excel academically and, through their involvement in student pharmacist activities, demonstrate strong leadership and organizational skills. Interns must be enrolled as a full-time Doctor of Pharmacy degree student in an ACPE-accredited school or college of pharmacy during the 2017-2018 school year, with anticipated graduation in 2019 or 2020. Must be eligible for employment in the United States. Candidates must submit an online application, two letters of recommendation and a letter of good academic standing from their institution, confirming that the student is currently enrolled in a pharmacy program and is in good academic standing and stating the student’s current cumulative GPA. This annual internship reflects the commitment of the Academy of Managed Care Pharmacy Foundation and Allergan Plc to fostering healthcare leadership through student pharmacist education and to improving the quality of patient care in managed care pharmacy setting. This program is administered by the Academy of Managed Care Pharmacy Foundation. This program will provide an opportunity for interns to contribute to meaningful projects and interact with industry experts within the Evidence for Access Team US Medical Affairs at Genentech, while gaining knowledge of the biotechnology industry. 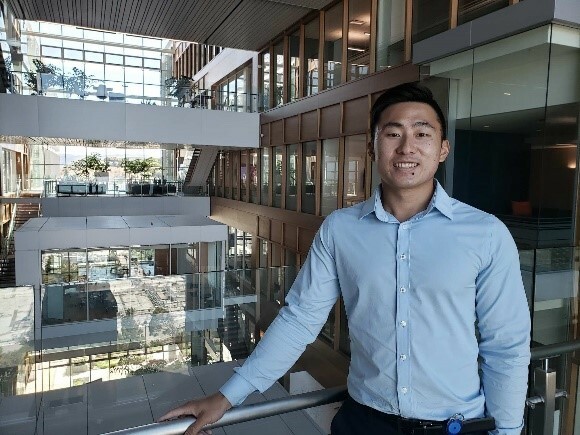 Following a competitive selection process, two student pharmacists will spend 10-12 consecutive weeks at the Genentech campus in South San Francisco, Calif., under the supervision of a preceptor/manager. Applications are reviewed by AMCP members, AMCP Foundation staff and Genentech recruiters and hiring managers. AMCP Foundation staff will conduct phone or video conference interviews with select candidates and make recommendations to Genentech on final candidates. Genentech will interview final candidates and may schedule on-site final interviews. Genentech will make final selections. All candidates will be notified in March 2018. Candidates must be currently enrolled as full-time Doctor of Pharmacy and/or a joint MBA, MPP (Master of Public Policy) or MPH (Master of Public Health) degree program in an ACPE-accredited school or college of pharmacy during 2017-2018 school year with anticipated graduation in 2018-2019. Must be eligible for employment in the United States. Candidates must submit an online application, one letter of recommendation and a letter of good academic standing from their institution, confirming that the student is currently enrolled in a pharmacy program and is in good academic standing and stating the student’s current cumulative GPA. This annual internship reflects the commitment of the Academy of Managed Care Pharmacy Foundation and Genentech, Inc. to fostering healthcare leadership through student pharmacist education and to improving the quality of patient care in managed care pharmacy setting. This program is administered by the Academy of Managed Care Pharmacy Foundation. The goal of the Summer Internship Program is to develop future leaders in managed health care through exposure to population health and managed care pharmacy principles via concepts such as formulary management, benefit design, medication therapy management and adherence management. Working directly with pharmacists and other members of the health care team, interns will gain an appreciation of how managed care pharmacy principles are used to maximize health care resources and patient care outcomes. Four student pharmacists will be selected for internships through a nationwide selection process. The intern’s work with Pfizer Medical Outcomes Specialists and the AMCP Foundation will expose them to the pharmaceutical industry, a public charity, and a professional membership society. As a part of the structured ten-week internship program, student pharmacists will be matched with virtual preceptors and present capstone research projects at AMCP Nexus 2018. During the 10-week program each intern will be assigned to a health plan, pharmacy benefit management company, employer, or other sites. This immersive experience will round out their introduction to the managed care pharmacy profession and help them develop a career plan. Interns will also spend 1-2 days at Pfizer headquarters in New York. The program will cover housing, travel and other approved expenses. Interns will also receive a modest stipend. The Interns are chosen through a Selection Panel comprised of AMCP members and phone interviews with the Site Preceptors. Through the use of selection criteria developed by AMCP Foundation and Pfizer, this group selects student pharmacists who excel academically and, through their involvement in student pharmacist activities, demonstrate strong leadership and organizational skills. Pfizer Medical Outcomes Specialists may be present at selection meetings in a non-voting capacity. Interns must be enrolled as a full-time Doctor of Pharmacy degree student in an ACPE-accredited school or college of pharmacy during the 2017-2018 school year with anticipated graduation in 2019 or 2020. Must be eligible for employment in the United States. 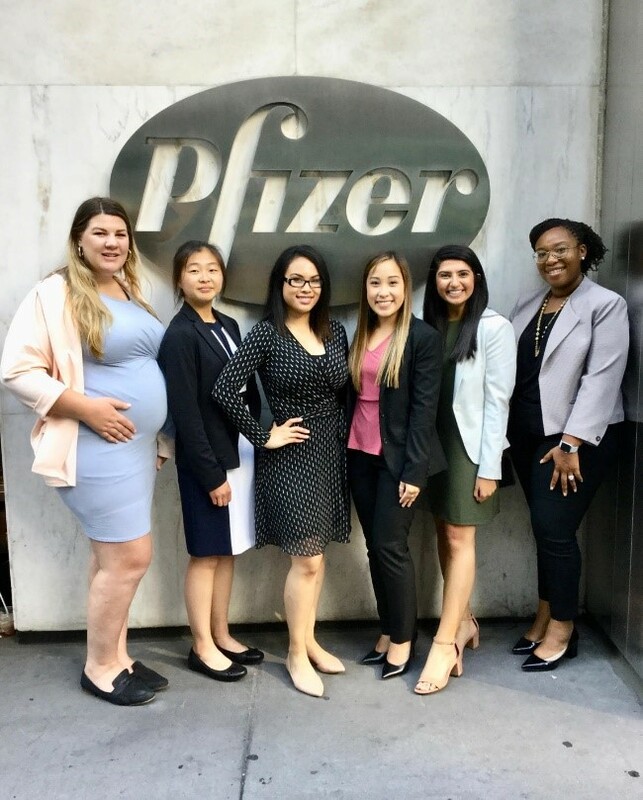 This annual internship reflects the commitment of the Academy of Managed Care Pharmacy Foundation and Pfizer, Inc. to fostering healthcare leadership through student pharmacist education and to improving the quality of patient care in managed care pharmacy setting. This program is administered by the Academy of Managed Care Pharmacy Foundation. Interns will be placed at AMCP Foundation headquarters in Alexandria, VA (outside Washington, D.C.), to support the Foundation’s mission to expand and promote medication-related research. The Intern will learn nonprofit management principles and develop personal leadership. The Interns are chosen by a Selection Panel comprised of Foundation volunteers. Through the use of selection criteria developed by AMCP Foundation, this group selects student pharmacists who excel academically and, through their involvement in student pharmacist activities, demonstrate strong leadership and organizational skills. Candidates must be enrolled as a full-time Doctor of Pharmacy degree student in an ACPE-accredited school or college of pharmacy during the 2017-2018 school year with anticipated graduation in 2019 or 2020. Must be eligible for employment in the United States. This annual internship reflects the commitment of the Academy of Managed Care Pharmacy Foundation to fostering healthcare leadership through student pharmacist education and to improving the quality of patient care in managed care pharmacy setting. This program is administered by the Academy of Managed Care Pharmacy Foundation. Copyright © 2019 Academy of Managed Care Pharmacy. All rights reserved.